Explore yoga's mindful connections and hear the stories of four inspiring teachers. Creating safe spaces, inclusive communities and changing the landscape of yoga - Meet four inspiring teachers coming together to share their stories. Tie, Abi, Avery and Sinikiwe, are all using yoga to empower themselves and the people around them. Follow the monthly stories as they discuss their journeys together with culture and current affairs podcast duo Stance. Listen below to learn more about them. Mother and creative from Atlanta, Tie champions mindfulness and representation with her community. "I used to have a lot of negative patterns and negative ways of thinking about myself, my life and the world and I think yoga is what caused that shift to happen. First on the mat and then noticing how I was able to be more patient, more balanced and more strong in my own self." Based in New Mexico, Avery's yoga classes celebrate and empower the queer community. Founding Naaya in NY, Sinikiwe has created a yoga space for people of color to feel seen & welcome. Abi founded Supply Yoga in London, a nurturing community helping people find a quieter mind. "People's minds are changed about what yoga is and whether it's for them or not." An award-winning arts, culture and current affairs podcast exploring diverse, global perspectives. 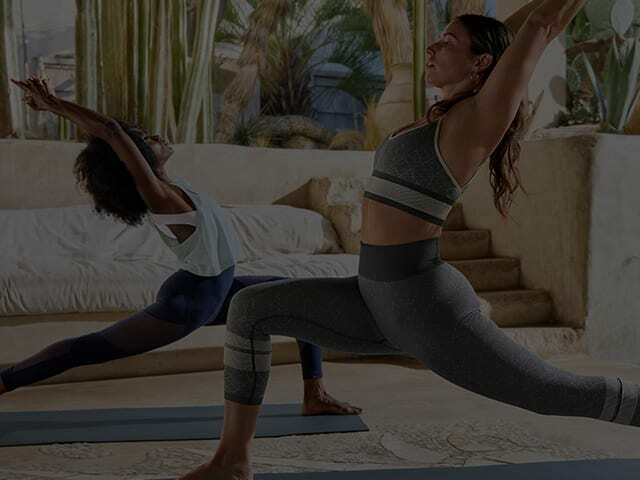 The adidas x Wanderlust collection is designed for mindful connections on and off the mat. Yoga unites us with our minds, bodies, souls and the earth, bringing us closer to ourselves, each other and the world around. Each month we'll be exploring the powerful connections of yoga, together with inspiring teachers paving the way. Embracing the power of the physical and mental bonds of yoga and how the two connect. Connecting with the world around us and the people that we share it with. A journey of self discovery, transformation and awareness.